Sport plays an important role in the lives of many Canadians. Quality coaching is key to a positive sport experience for participants. Sport, government, and business leaders recommend that all coaches become trained and certified in the National Coaching Certification Program (NCCP) to ensure that the sport experience of every participant is a good one. The NCCP is a collaborative program of the Government of Canada, the provincial/territorial governments, the national/provincial/territorial sport federations, and the Coaching Association of Canada. The NCCP is currently undergoing a transition to a competency-based approach, in which a coach is trained and may achieve certification to coach a specific type of participant in a particular coaching environment. The NCCP is a training and certification program for coaches, offered across Canada in more than 60 sports. The program was designed to meet the needs of a wide range of coaches - from those who introduce youngsters to sport to those who work with Canada's high performance athletes. Since its inception, more than 875,000 coaches have taken part in NCCP activities that have helped them to develop the skills, knowledge, and attitudes required to coach effectively. The current NCCP is a knowledge- and course-based program with five levels of certification. The NCCP is in the process of changing from its current structure with five levels (1 to 5) and three components (Theory, Technical, and Practical) to a new structure that is based on the three different environments in which coaching takes place in Canada. Certified – when a coach has completed all evaluation requirements for a context. In April of 2004, the Coaching Association of Canada (CAC) and its partners launched Competition – Introduction and the first series of multi-sport coach training modules of the new competency-based NCCP model. Some sports are integrating these multi-sport modules into their sport-specific training. 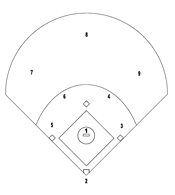 BASEBALL has chosen to integrate these modules. The goals of the Competition – Introduction context are fun, fitness, fundamentals, and performance at regional or provincial competitions as well as the consolidation of basic skills of the sport. Recognizing the value that Canada’s 1.2 million volunteer coaches bring to our communities, CAC and its partners announced the launch of the NCCP Community Sport – Initiation context in October 2004. Often the parents of participants, volunteer coaches usually hold down full-time jobs, so they have limited time for training. The program focuses on essentials over one or two days, placing emphasis on safety, fun, ethics, teamwork, and values beyond the game. Training helps volunteers foster love of the sport, promote participation and teach basic skills to beginners of all ages through a variety of activities. To sign-up for a Community Sport – Initiation workshop, please visit nccp.baseball.ca. For more information about the NCCP and the transition to a competency-based approach, please contact your Provincial/Territorial Coaching Coordinator, your provincial/territorial sport organization, or your national sport federation. For a Coach Development Model, click here. 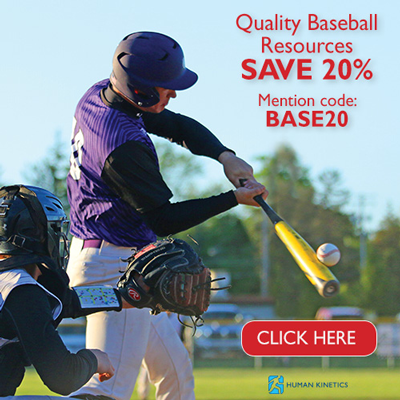 For a Player Development Model, click here. Links for Athletes with Disability, click here.